Dating safety tips from Digital Journal are worth reading! 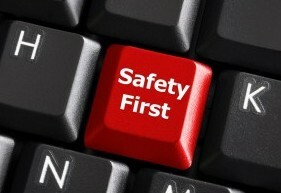 Home » Dating advice » Dating safety tips from Digital Journal are worth reading! Things to watch out for with in the digital age! DigitalJournal.com has shared some useful dating safety tips that I wanted to pass along. These tips were shared in a recent article they wrote and they include some rock solid facts that people need to be aware of. Here is a link the original article. In the article scambook.com is referenced. Scambooks.com is an online complaint resolution service that is a resource for the public when it comes to online dating scams. I actually wrote about the large influx of scam dating sites just days back, so when I read this article and the attached press release I had to share some of the advice that was offered. First off, according to this article, 1,200+ consumer complaints were reported about online dating scams and romance based frauds in just 2012 alone. Online dating scams are on the rise in a big way! Scams of the online dating nature usually involve long distance relationship scenarios but not always. Here is what was outlined in the article. Oftentimes people will create a fake profile and even a fake name with all the details about them being purely fictional. Slowly they will build up a relationship with someone and then after they know that the other party has strong feelings for them they will start the process of essentially getting everything they can from that individual. This though is just one part of the bigger problem. These days new dating websites are being created with the disclaimer that they are for entertainment purposes only, thereby allowing them to hire people to fake like they are real people interested in new members who may join the site. The goal is to keep you as a paying member as long as they!!! The key point of the article was that there is one target demographic that seem most susceptible to the scams. These are women that are over 50. This group needs to be particularly keen to watch out for scams of this kind. Do you know which one of the largest online dating sites in America performs background checks including checking on marriage records for all of its members? Find out which site . Also check out our article on, How to avoid dating site scams! For more safety tips and additional information, users are encouraged to visit http://www.scambook.com/blog.